The British beach is full of creatures that we think we know - from crabs to clams, starfish to anemones. But, in fact, we barely understand how many survive or thrive. 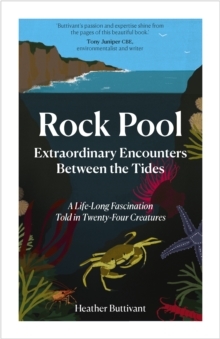 In Rock Pool the delights of childhood paddling are elevated to oceanic discoveries, as the fragile beauty and drama of intertidal existence is illustrated through the incredible lives of twenty-four individual creatures.